Is cheesecake an important part of your family traditions, especially during the holidays? For my family, cheesecake is likely one of the most requested things made every holiday and it is made usually by one person – my husband. When we first started dating nearly two decades ago, I remember my husband telling me he could make two things – cheesecake and manicotti, both of which are absolutely amazing. While he can make a lot more now, his cheesecake is still one of his amazing specialties and he is constantly experimenting with this recipe. That being said, we still love to try different recipes, helping him evolve his own and giving us some variety. 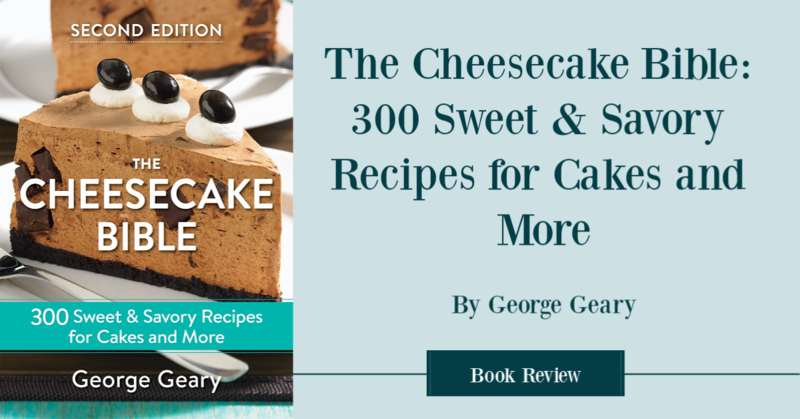 Recently, we were both excited to try a new cookbook that sounded perfect for our own little family – The Cheesecake Bible: 300 Sweet & Savory Recipes for Cakes and More by George Geary. Once our review copy arrived, we couldn’t wait to get started! The Cheesecake Bible: What Is It? The highly-anticipated upgraded edition of the definitive book on luscious, decadent cheesecake by a master chef and baker. Beloved for over a decade, this comprehensive cheesecake resource allows its many readers to indulge in recipes that range from traditional and chocolate to fruity and savory. Now, The Cheesecake Bible is back and better than ever with 90 new recipes to satisfy people who eat a gluten-free diet and to answer the recent cultural appetite for more savory cheesecakes. Iconic recipes include Deep Dark Chocolate Fudge Cheesecake and White Chocolate Velvet Cheesecake with Port Wine Berry Compote. Then there are the more savory options, such as Black Olive and Herb Cheesecake and Blue Cheese Cheesecake with Pecans. 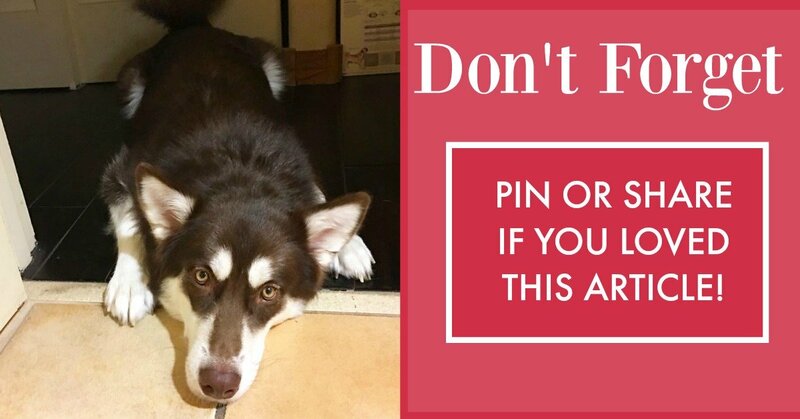 Other offerings include nut, citrus, no-bake, vegan, fruit, chocolate, cheese and holiday cheesecakes, as well as cheesecake bars, small cheesecakes, toppings and sauces. With more than 300 recipes, there’s a cheesecake for everyone. The book features extensive how-to instructions, along with sections on equipment, basic tips and techniques for perfect cheesecakes, a list of common ingredients and frequently asked questions from the author’s baking classes. It is the ideal guide for beginners and seasoned bakers alike, ensuring that they make the very best cheesecakes. As a cheesecake fan, I honestly couldn’t wait for this cookbook to arrive. When it did, I was completely floored. The Cheesecake Bible: 300 Sweet & Savory Recipes for Cakes and More is absolutely HUGE! I mean, I could swear I was gaining calories just by looking at all the delicious recipes. Going through the cookbook, I was even impressed they had both types of cheesecakes, both the ones that are mostly cream cheese, as well as those which add or are sour cream based. It is usually a texture thing but something many cheesecake fanatics are passionate about when it comes to making cheesecakes. Probably the recipe I am the most excited about making is their key lime cheesecake, which sounds truly amazing and looks oh so easy to make. This is not one of those intimidating cookbooks that make you feel like you have to be a professional chef. It is truly down to Earth and designed to be easy for any level of chef. After going through this cookbook, I have to say I can’t wait to start baking for the holidays! The Cheesecake Bible: Where To Purchase? Would you like to purchase this awesome cookbook for yourself or someone you know? You can find The Cheesecake Bible: 300 Sweet & Savory Recipes for Cakes and More on Amazon.com for around $16 with free shipping! Who knew making cheesecake could be so easy and fun! This sounds like a fun recipe book to work through! I think it would make a great gift for my sister in laws too!! This would be a nice addition for me, and a great gift. I love bringing a cheesecake to a get together – it never ceases to “wow” and get gobbled. I don’t like to use the internet for fussy recipes and expensive ingredients, only tried and true in a good cookbook.